Cracking good read!Leon Mare does it again! Another exciting Sam Jenkins adventure. 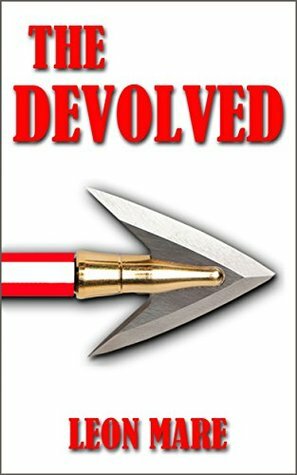 Readers who follow the Sam Jenkins saga will not want to miss The Devolved, a worthy follow-up to Mr Mares previous book. Leon Mare - Leon Mare was born in South Africa, and lived close to the Kruger National Park for most of his life. He was involved in extensive wildlife research, and spent all of his free time in the African wilderness. Dr. Mare has an intimate knowledge of the wilder side of Africa, which is reflected in most of his work. He has written several TV drama series, and produced a TV documentary on the indiscriminate killing of marlin during billfish competitions on the east coast of Africa. This resulted in a major paradigm shift to tagging and releasing these fish instead.He has published seven books on Kindle, the latest being book five in the Sam Jenkins Trilogy series.In 2013 Leon and his wife Monica returned to South Africa after ten years in the UK. They settled in the tiny village of Yzerfontein on the Cape West Coast, where he spends his days writing, fishing and bundu bashing with his best friend Mother Nature.